Rumors and Leaks Worse than Good? Sunday Debate: Rumors & Leaks, Good or Bad? Join us in a fun Sunday Debate on Rumors & Leaks. Come with your opinions and feel free to read some of our thoughts, then pick your side or play devil’s advocate to get your voice heard and engage in friendly discussion. You can read our food-for-thought or jump straight into the fray! For the past few smartphone cycles, the first quarter of the year is subject to ridiculous amounts of speculation, most of which is founded on thin air. The more privileged claims have a loose ground to stand on, however, in the form of rumors. With every Galaxy S or every HTC One we are subjected to endless discussion about megapixel counts, screen resolutions, batteries and design. The latter one is perhaps the aspect that adjusts to the rumors the best, because they can easily be graspable with leaks. While a picture of a bunch of circuits or a camera module won’t tell you much about its capabilities, the direct glance at a phone’s carcass gives you immediately comprehensive information of what it’ll look like. And this is probably why we see tens of grainy, sketchy photographs of all sorts of things ranging from metal frames to production molds. Occasionally, we get the a picture of what is supposedly the whole package. And OEMs are so aware of the gossip frenzy that sometimes they tease us with their own. Leaks obviously benefit tech reporters and journalists who get an extra source of writing material, but communities like XDA are kindled with discussion and speculation too. From this point of view, leaks and rumors are initially an exciting part of a phone’s release; it’s the closest I’ve gotten to being “in” and listening to popular highschool gossip. But while sites prey on new content and users crave new juicy details, there are a few matters surrounding the nature of rumors that makes them a little toxic to those who want to bring us an experience. And sometimes, leaks are also exploited for personal gain by people staging fake information and tipping it to mainstream sites, who more often than not will publish them for the quick bump in traffic only an exclusive can get them. With this being said, do you think leaks and rumors are more beneficial? Let’s look at a couple of sides of the debate. Manufacturers plan their releases very carefully. When they schedule the events at the Mobile World Congress, or Consumer Electronic Show, IFA or whatever event wherever in the world, a lot of logistics have to go behind it to make sure the show goes as planned. Not only do they have to move a lot of personnel and book flights; the space and time spot in the expo either costs them money or is an exclusive opportunity they’ve got to make the best of. Then there’s all the video-work behind the presentation, the lightning, and the actors involved. But that doesn’t mean these billionaire industries get it right anyway. Just look at this… how Samsung could stage something that offensive and silly is beyond me. But nevertheless, hiring (mostly terrible) actors and actresses and coordinating a world-wide launch event costs a good budget – and channeling the hype the way they plan to is very important to them. When they reveal their product in a controlled environment they can open the floodgates of excitement and release a blowout of coverage all at once, which allows the news to spread to every corner including non-tech sites. This strategy of keeping information from filtering is also relatively expensive, as they’ve got to hire people to make sure nothing gets out and then in some cases investigate the leaks or prosecute the whistleblowers. 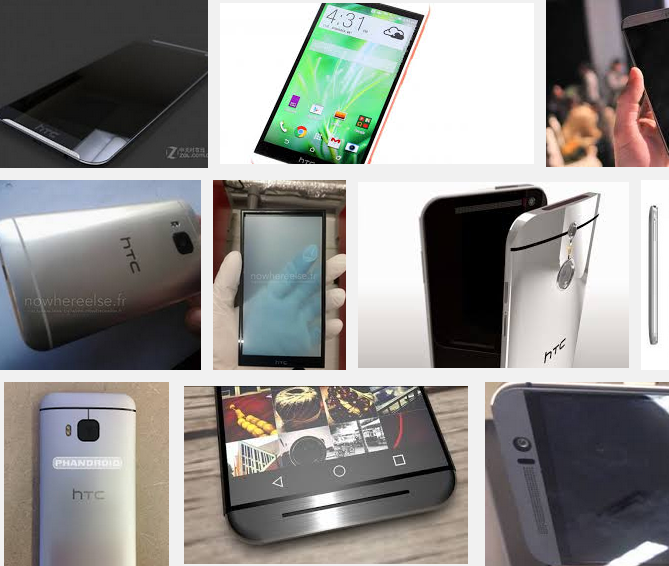 Take the case of the HTC M8 for example; does anyone remember the video leak of last year, where a 15 year old kid got his hands on the device ahead of release and covered many of its features? The videomaker was quite honestly not the smartest we’ve seen, and HTC quickly traced down the origin of the leak. A lot of drama surrounded the ordeal, which ended up with an angry HTC, a threatened kid, firings, phone bounties and a possibly undisclosed lawsuit. That phone reveal stole HTC’s thunder big time, and during the time of its filtering I remember ongoing discussion that lasted for days. By the time HTC’s release announcement came, people already knew everything about it. History looked like it was going to repeat itself this year with the overwhelming amount of HTC Hima/M9 reports. We covered the early HIMA specsheet leak at the very end of last year, and since then we’ve heard so many news stories, rumors, speculations and leaked images that we don’t know which ones are true and which ones aren’t. We had a leak roundup where we recapitulated each aspect we knew about (focusing on the certainties), but even then we all got hit by rather upsetting news later that meant everyone in the tech world was fooled: retired whistleblower Evan Blass revealed that many of the leaked pictures were simply decoys that were intentionally planted to mitigate the impact of leaks – by flooding the internet with meaningless ones. It seemed that HTC or whoever was behind it knew the impact that these leaks would have to the phone’s release and took action against it… and all the in-depth reports about the alleged designs meant little to nothing after that. There are many more reasons for OEMs to have control over their releases, and to be fair, the leaks often involve the breaking of Non-Disclosure Agreements that are rightfully punishable by law. Some of the popular leak sources face legal action or intimidation, and a lot of money is invested to keep these release systems free from leaks everywhere from internal software to personnel. If a rumor gets wildly popular, it can also hurt a business or its reputation. For example, the reports on the Snapdragon 810 overheating caused a great deal of unfounded (at the time) controversy that probably cost Qualcomm in indirect damages, even though there are reports of it running cooler than what was initially suggested (although the recent LG G Flex 2 does seem to throttle quite badly). Then there’s the fact that many rumors or leaks are simply fakes crafted or edited for the creator’s personal gain. 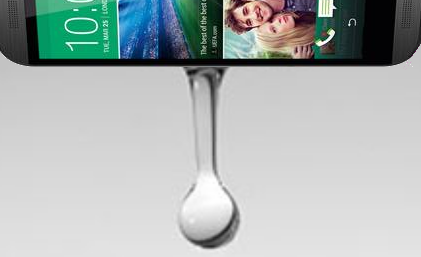 But there’s some benefits from leaks -true ones- that can’t go unnoticed to us users. The rumors and leaks keep discussion going, but they can also alter the purchases of the consumers. This is something that OEMs are probably rather aware of when spacing their releases: many people’s contracts end at certain points of the year, and some people would be more likely to upgrade or otherwise buy a new phone during these times. In this sense, knowing the specifications of a device allows us to not stay guessing for months at a time as to whether a device will feature the processor we want, the camera we would like or the resolution we expect. 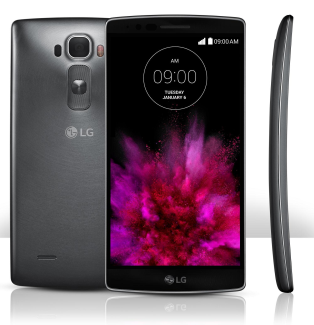 For example: If I was waiting for an S6, and learned that it didn’t have quite the upgrade I wanted, I would perhaps be more inclined to buy a Nexus 6 or a G Flex 2. You could argue this works both ways, given that if it does have the upgrades we want it to have we could wait it out and get it in the future. But time is an important factor, and there are a lot of things that could happen within that timeframe that could skew consumer’s minds; like a broken phone with no backup, or a change of mind… or more poisonous rumors. Holding back sensible and desirable information helps them build the hype they desire while teasing the curiosity of eager consumers. Pre-ordering is becoming more common with mobile technology as it is with products like videogames and computers, and it is a no-brainer that OEMs want to secure early purchases. What would happen if, for example, if videos of the G Flex 2’s laggy user experience would have leaked out ahead of time? Preorders would most definitely drop, as would release sales. Holding back information can allow OEMs to manage the hype while hiding imperfections, as they are in control of what gets out and as such, and they will only give you the juicy hints and teasers that would benefit their product. But leaks, given enough credibility or evidence, can give enough information for a consumer to make an educated decision ahead of schedule; thus disrupting the carefully planned (and variably expensive) release procedure of OEMs. On one hand, it is entirely in their power to be secretive about their product as it benefits their sales and further enhances their control on the hype and information for their release. But at the same time, the consumers that want to make educated purchases with their hard-earned money and want to maximize their experience, crave the information needed to know if they should hold on or buy into a competitor. Technology sites also see a sharp benefit from the speculation and leaks, albeit sometimes in a very manipulative and click-hungry way. So the answer to these matters is up for grabs, and it covers legal and moral opinions. Do you think leaks and rumors are good for the industry and the consumer? Would you mind if there were none of them? Do you pay attention to them, or not at all?